I was lucky enough to record a podcast with James Clay earlier in the week which is now available from his website. He interviewed me and Chris Morrison as part of a series of podcasts that James records on issues related to e-learning. It wasn’t just a shameless plug for our forthcoming book Copyright and E-learning: a guide for practitioners or Copyright the Ca rd Game, it was great to talk about a range of issues related to copyright and how to approach the issues that using new technologies gives rise to. Some people might think copyright is boring and restrictive, however, have a listen to our podcast and hopefully see that understanding copyright is empowering and there are ways of teaching others about copyright which don’t involve sending people to sleep! 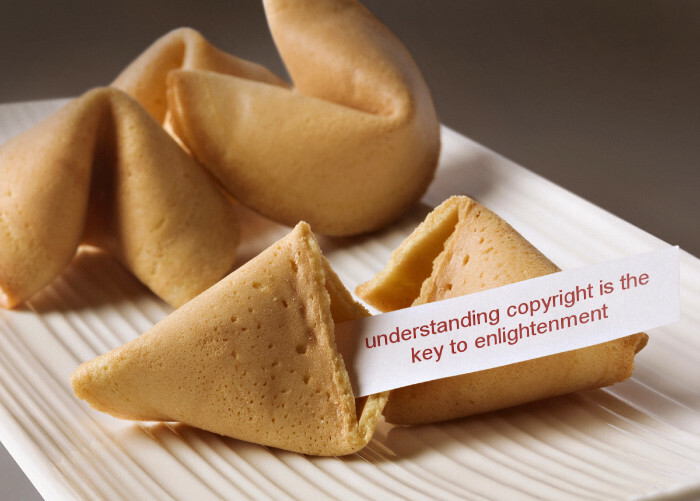 It’s also important to think about embedding copyright good practices into the range of training available in your institution and teaching it in a positive way about what people can do. And of course as people who know me know, I do love conversing about copyright, and eating cookies and cake, and talking about Star Wars parodies. It’s all in the podcast and it’s not long until the book is published either! I’ll also be heading to Dublin in just over a week to talk about Copyright and E-learning and play Copyright the Card Game at the DIT E-learning Summer School. This entry was posted in copyright, Jane's update. Bookmark the permalink.